Ranikhet is a mesmerising hill station that can leave you stunned. In the case, you have never been to such a spot, this is time you go and have a peep. 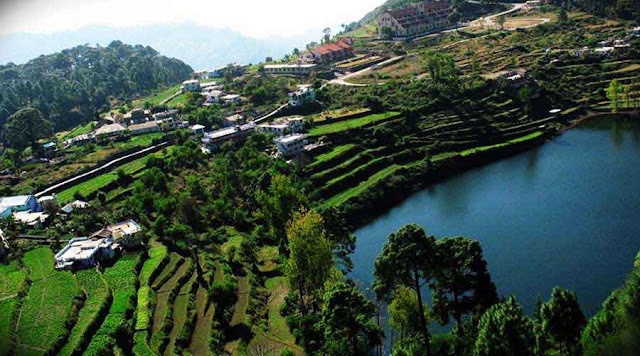 All other places are going to get outshined in the presence of the charm and splendour of Ranikhet. Even the Ranikhet resorts talk about the natural charm and delight of this hill station. So, you must explore its various sites and destinations for a lovely time. If you want to know more about its destinations then discover the Beautiful Natural Charm of Ranikhet through its 5 stunning Spots! Majkhali is at a distance of about thirteen kilometres from Ranikhet. The lovely sightseeing place is a must visit for all the visitors. It provides hypnotic views of Mount Trishul. The place is ideal for nature lovers. Visitors can perform their outdoor activities, picnics and games under the rich ambience of this place. You can also enjoy the musical sounds of silent surroundings and lovely chirping of birds. In case you have a more daring mood, there are also a plenty of walking trails around this area of foothills. Bhalu Dam is another fine spot of Ranikhet.It is a small lake formed artificially. It is located at a distance of around three kilometres from Ranikhet. It was created in the year 1903 by British Government. The dam site is endowed with natural beauties, vistas of Himalayan Mountains, calmness and scenic environs.The miniature but gorgeous garden close to this dam is peaceful and placid. Chaubatia Gardens is around ten kilometres south of Ranikhet. The name Chaubatia literally talks about junction of 4 ways. As per local people Chau stands for “four” and Bhatia stands for “path”. Gardens are located at the joint point of four cities that are Ranikhet, Pilkoli, Dehrti and Bhargaon.During the period of 1868, Lord Mayo, who was British Viceroy then got so astonished by charm and gorgeousness of this place that he wished British cantonment to get set up here.Chaubatia is a massive garden of lush green fields. These Gardens are flying at a height of one thousand eight hundred above sea level and it lengthens over six hundred acres of land.The entire place is blessed with placid and gorgeous landscapes. This stunning and famous temple houses lots of holy bells that have been tied to its walls. These bells are popular for fulfilling wishes on getting ringed. A mythology states that the temple was built to seek the Durga mas’s protection from the wild animals in that area. The temple is admired by thousands of visitors and a great merriment can be found here. Upat is a small town in the mid of Garhwal Himalayas. It is at a distance of five kilometres from Ranikhet. The town is popularly admired for its nine holes golf course that has been managed by Indian army. It is also believed to be amidst highest in entire Asia. So, you can try your hands on Golf at this beautiful place! So, pick your preferred hotels in Ranikhet and do the booking for a memorable hill station trip!